Prominent & Leading Manufacturer from Mumbai, we offer croma - gift card - gift voucher, ezone - gift card - gift voucher, vivek's - gift card - gift voucher, gadgets.in - gift card - gift voucher and reliance digital - gift card - gift voucher. 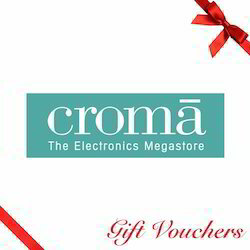 A Croma gift card is for someone who loves to explore an incredible selection of technology products under a single roof. Croma has always been dedicated towards giving its customers an easy and hassle-free access to best consumer electronics products. Croma Gift Card is a perfect gifting option for your loved ones to choose from categories such as Phones, Camera, Computers, Entertainment, Home Appliances, Kitchen Appliances, Gaming and Accessories. Do not split hair on which gift to give this season. Go for the coolest choice around. Big Bazaar Gift Voucher is your ticket to millions of products. A single voucher buys them all! A Future Group Venture, Big Bazaar is not merely a hypermarket ? it blissfully caters to the diverse needs of your family. It is their commitment to deliver a fantastic value for money that makes this giant hypermarket the most preferred shopping destination for millions of Indians today. Apparels, accessories, toys, cosmetics, crockery, cutlery, footwear, utensils, sports goods, home furnishings, electronics, and much more, it is a veritable treasure trove out there. The best thing is that at Big Bazaar you never run out of choices! Do not let your loved one miss this opportunity. By presenting Big Bazaar gift cards, you open up the way to unmatched shopping experience amidst a blissful ambiance and great customer services. Big Bazaar shopping gift voucher is a dream come true for Shopaholics since now they can pull out all the full stops from their shopping endeavor. Break the clichs, and gift your loved ones Big Bazaar shopping vouchers. Give people what they really want ? freedom, fun, and flexibility!! Vivek Gift Voucher offers shoppers endless choices in a wide range of product categories including electronic goods, gadgets, and home appliances. Instead of flashy, practical and useful gifts have high utility in the daily lives. Now you can give this chance to someone you know. Vivek Retail stores have their unique place amidst the consumer mindset. It came into being back in 1965 and since then this is a name going strong steadily and promotes loyalties among shoppers. Vivek Gift Voucher opens up a completely new world of consumer goods and gives buyers a chance to make the most of their craving to shop. From kids to hip young people and adults, there is something here for everyone. Just come inside the store and let yourself go in the world of high quality goods within your reach. Products available at the store affect the consumer lifestyle in one way or another. You can use only a handful of gifts and Vivek Gift Voucher is surely one of them. Any time spent inside the store is never wasted. This card remains valid through the period of a single use and you can redeem this card at any Viveks outlet in Bangalore and Tamil Nadu. 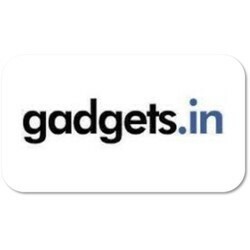 Gadgets.in Gift Voucher is your ticket to the latest electronic goods that are creating ripples in the world of the consumer market. Today our world revolves around gadgets in one form or the other. 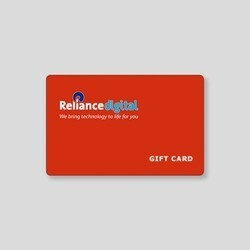 Therefore, Gadgets.in Gift Voucher gives you a chance to allow receivers choose the product they like and order online. Gadgets. in are a digital lifestyle online shopping platform that allows buyers to choose from over 7,000 varied products at competitive prices. Buyers can choose from a wide range of products on Gadgets.in including cell phones and accessories, vehicle accessories, computer and related accessories, household gadgets, cameras, video/audio products, security goods, fashion gadgets including watches, and play station or video games. This is just a glimpse into what is waiting for the buyers at their exhaustive storefront to make your life interesting, easy, and enjoyable. There is something at this store from ages 6 to 60, therefore Gadgets. in Gift Voucher can work wonders in any scenario. Add to the options of increasing the gadget centric life of somebody you know with Gadgets. in Gift Voucher. The voucher is valid for three months from the time of purchase and is redeemable on the official website of the company. So, are you ready for this digital plunge? 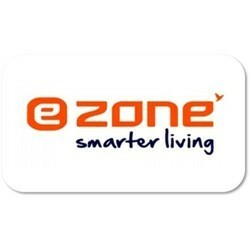 Looking for Electronics - Gift Cards - Gift Vouchers ?